This 12x12 double sided paper has an assortment of Journaling Cards, Labels & Borders on the frontside. The reverse side has White Circles on an Orange background. Part of the About A Little Boy Collection by Photo Play Paper. 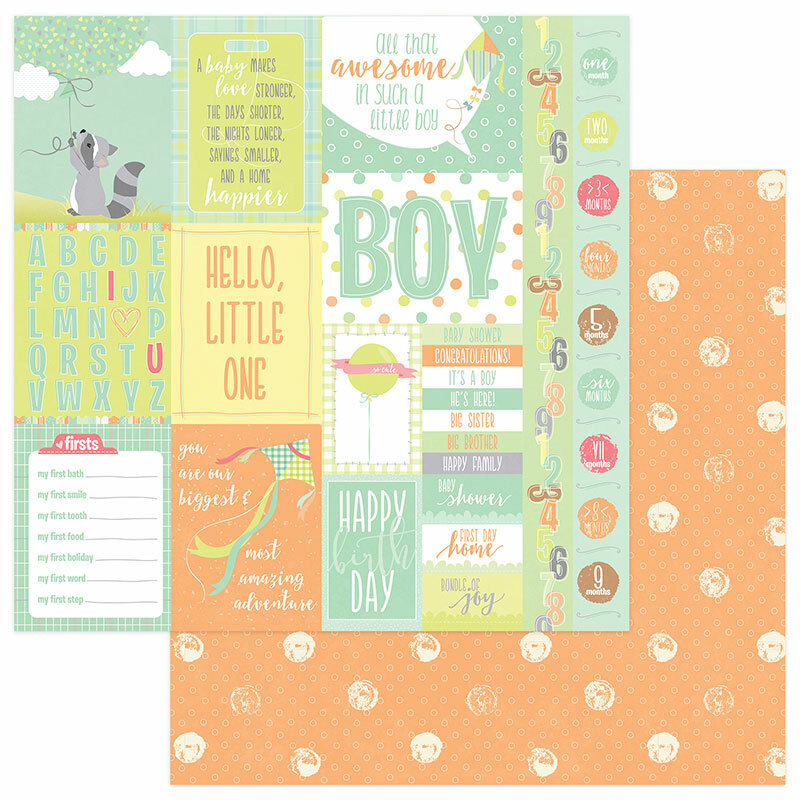 Look for coordinating Element Sticker Sheet, Ephemera, Stamps, Decorative Dies & Designer Papers.